Peacefully, after a courageous battle with cancer; it is with deep sadness that we announce the death of our Mom on Monday, September 10, 2018 at Portage General Hospital at the age of 76 years. Doris will be sadly missed and is preceded by her Love of her life Blacky whom she was married for 50 years. Doris is survived by her two children Patricia ( Kari, Richard, Scott Jamy and Brandon ; Michael ( Ashton, Nicky the Black) as well as numerous nieces, nephews, grandchildren, relatives and friends. Doris was active with the Army Navy having served on the Executive for many many years . A celebration of Doris’ life will be held on Saturday, September 15, 2018 at 3 pm at Hillside Memorial Cemetery. 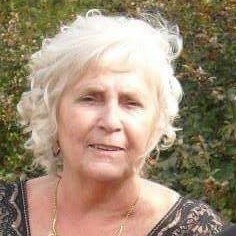 In lieu of flowers, memorial donations in the memory of Doris can be made to the CancerCare Manitoba, 675 McDermot Avenue, Winnipeg, MB R3E 0V9.